204-205, Silver Radiance one, zydus hospital road, Ahmedabad, India 380054. See you all at #17: Cafe and Chat lounge for the every Friday open mic… ‘ MIC SOME NOISE ‘. 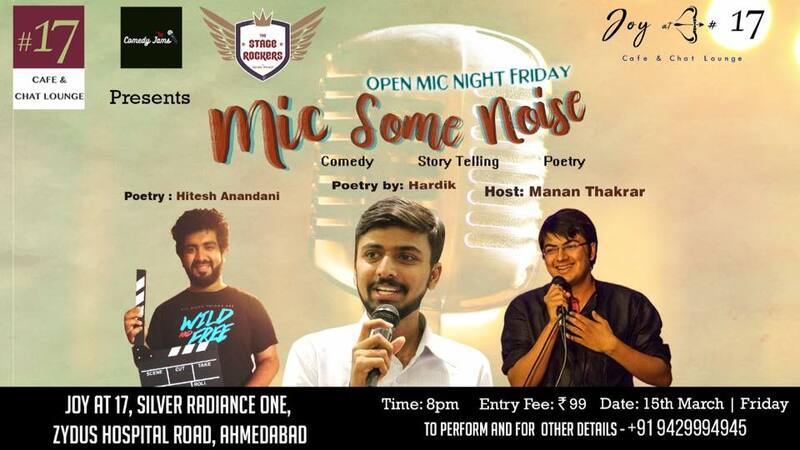 A stand-up comedy, poetry & storytelling open mic, every Friday at @joyat17_ahmedabad . . . .